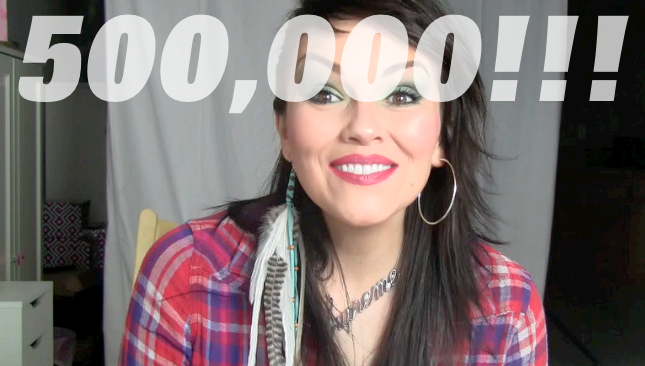 kandeej.com: 500,000 SUBSCRIBER thank you & week of giveaways! I have no words except: "eeeeeeeeeeeeeeeeeeeeek hooraaaaaaaayyyyyyyyyyyyy!" I want to thank all of you for being the most awesome kandee supporters, fans...I don't like calling anyone a fan...you are my "KANDEE FAMILY"! from an ipad2 to chocolate to purses...to a camera....to more!!!! Check back here daily for the giveaway of the day! It's my way of giving back to you..for all the love and kindess you've shined on me! I love all of you..from my first subscriber to the one who just clicked subscribe! here's my lil' way of trying to give some sparkle back! Aww! You give to ius every day!! Your sparkly self! !